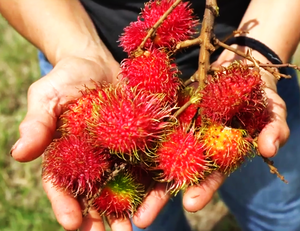 Image 1: Rambutan from Ka’awaloa Farms, HI Image 2: Ola Brew Taproom going up on a Tuesday Image 3: Ola IPA sold in over 200 retail locations throughout the state. KAILUA-KONA, Hawaii, Nov. 20 /CSRwire/ - After 11 months in operation of their Hawaii County brewery, cidery, and taproom, Ola Brew announces round-three of their equity crowdfunding raise of $300,000 to add an onsite restaurant, continue launching and producing new products for retail, and begin the planning and design of a satellite location in Honolulu, HI. The offering—now live on the Wefunder crowdfunding platform—is made possible by the recent JOBS Act which, allows local investors to buy equity in new growing businesses. This round will close March 30th, 2019. Since opening doors on December 15th 2017, Ola Brew has quickly become a must see/must taste destination for visitors and local residents, alike. The draw—Ola Brew is Hawai’i’s first production brewery to specialize in both beer and cider made with island-grown ingredients. Ola Brew has a mission to encourage growth in Hawai’i’s agricultural economy by purchasing local ingredients and incorporating them into innovative beers and ciders. Stimulating economic growth by purchasing b-grade fruit that may otherwise go to waste is their goal and another way to include the community as stakeholders in their business model, second to being both community and employee owned. While the rise of micro-breweries and micro distilleries nationwide continues to grow steadily, the cider industry is seeing a clear boom and a demand for more flavors and new styles of cider—and Hawaii is no exception. Since closing their first equity crowdfunding campaign in May, 2017, the Ola Brew team worked hard to bring a new facility to life while also experimenting and perfecting new beer and cider recipes. Since opening their facility in December, Ola Brew has exceeded projections in their taproom and with retail partners throughout the state including on premise hotels, bars, restaurants and off-premise retail accounts; Ola Brew has also partnered with Paradise Beverage, Hawai’i’s largest beer distributor for statewide distribution of canned beer sales. Since launching their flagship IPA in stores statewide in July, 2018 Ola Brew has landed accounts such as Wholefoods, Safeway, Costco, and CVS tallying at nearly 250 retail accounts to date. “Our partnership with Ola Brew has been incredible and a great decision for us. The reception in retail stores has gone overwhelmingly well,” says Thom Cornog, Craft Beer Sales Manager at Paradise Beverage. “Ola Brew is out the gate with a winning combo: it's a local beer and they're leading with their flagship IPA. You can't go wrong with that combination.” Ola Brew will launch two more products for retail in their 4th quarter, the Ma’a Lager and Kona Gold Pineapple Cider, which will be Hawai’i’s first cider canned for retail. Using a triple bottom line business approach, Ola Brew defines success by positively impacting the island’s economy, the environment, and its people. President and Director of Marketing of Ola Brew, Naehalani Breeland says, “last year we purchased over $60,000 in local fruits to prepare for this year’s production. This year we plan to double that.” With the launch of the restaurant that will also base source ingredients from island farms, Breeland says the potential to grow their impact is substantial. Ola Brew is second to Maui Brew Co. to acquire a Hawaii Class 18 Liquor License—allowing them to produce beer, wine, and spirits. In 2017, Ola brew transformed an ordinary 14,000 sq ft. warehouse into a state-of-the-industry production facility and taproom. Since the close of their last equity-crowdfunding raise, Ola Brew has tripled its capacity to support the The facility’s current brew capacity is over 12,000 barrels per year and is equipped with a full canning and production line, which allows Ola Brew to share craft brews with the entire state. Production to date is just over 3000 barrels. The authorization of the Jumpstart Our Business Startups (JOBS) Act—signed into law May 16, 2016— allows and encourages small businesses and entrepreneurs to raise capital from their trusted community rather than seeking tethered and unfamiliar angel investments. Wefunder, Nick Tommarello says, “Everyone should have the right to invest in what they truly care about, and the people who care should have a say where the capital gets distributed.” So far, the JOBS Act has allowed hundreds of small businesses and individual investors to benefit. Ola Brew set out to raise $4.1M—to date the brewery has raised $3.2M, of which $707K was raised from their first equity crowdfunding raise that closed last April and was used to fund the initial build out, purchasing tanks and production equipment, and bringing products to retail market. Ola Brew is Hawaii’s first locally sourced and locally produced beer and cider company combined. The team is comprised of the seasoned beverage industry peeps that brought you the Hawaiian Ola Beverage Company. Ola Brew supports farmers growing responsibly grown tropical fruits, and is passionate about creating great tasting beers and ciders, which provides shoppers a local alternative to imported brews.